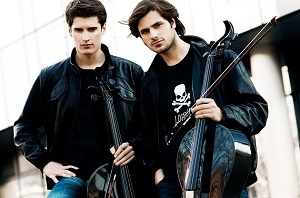 2CELLOS, music’s most electric and dynamic instrumental duo, announce the dates for their North American tour which kicks off in January. They will make stops in 41 cities including Atlanta, New York, Boston, Detroit, Nashville, Los Angeles and Salt Lake City. The duo returned to their rock roots on their recently released, critically acclaimed, third album Celloverse.